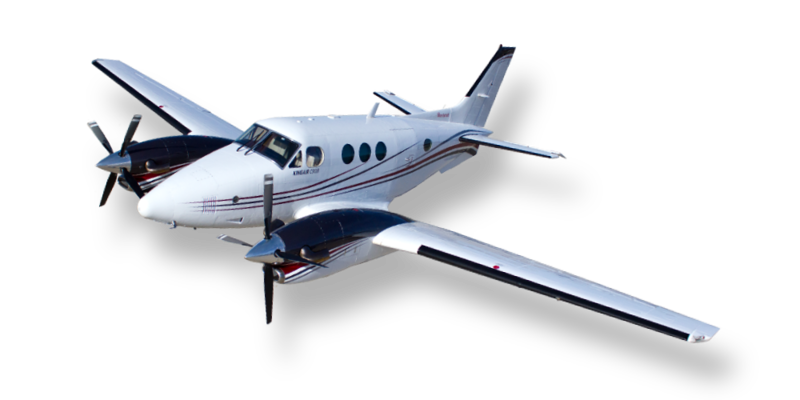 The Beechcraft King Air family of aircraft reigns as the most popular turboprop aircraft ever produced. Originally introduced in the late 60′s and 70′s, the C-90 and 200 model King Airs continue in production today. Both of these aircraft types are price competitive with the scheduled airlines for trips within a 500 to 700-mile radius of central Illinois and can be operated into airports with shorter runways than required by jets.